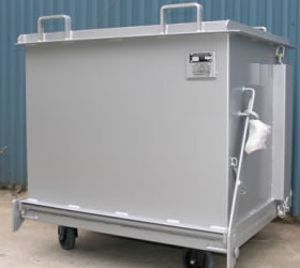 NS-DB800 0.8m2 Drop Bottom Bin is a heavy duty unit manufactured from 3mm plate and reinforced to handle all types of solid waste product. 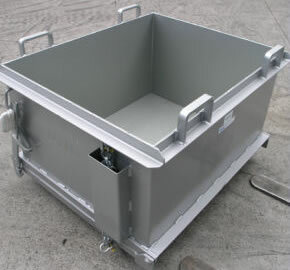 The DB Drop Bottom Bin is a heavy duty unit manufactured from 3mm plate and reinforced to handle all types of solid waste product. 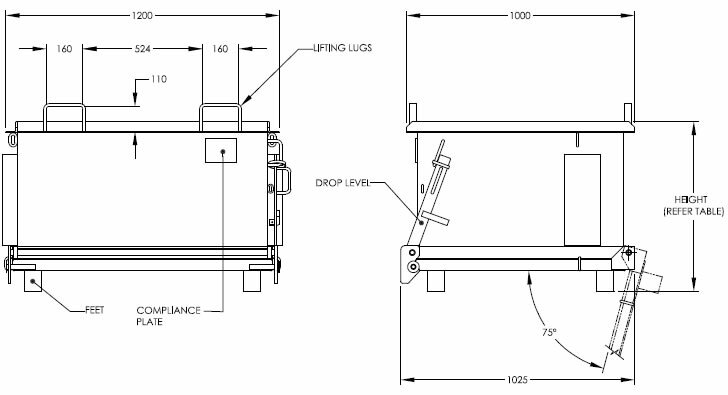 The DB drop bottom bin can be easily transported by either a forklift or crane . Complete emptying is carried out by pulling on the draw rope handle which allows the floor to drop open from one side. 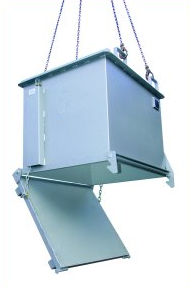 A powerful shock absorbing system removes all impact from the forklift or crane during emptying. Standard finish is enamel painted. NS-DB1100 1.1m2 drop bottom Bin is a heavy duty unit manufactured from 3mm plate and reinforced to handle all types of solid waste product.